A car being driven by a distracted driver is a danger to everyone else around them. The best way to keep yourself safe from them is understanding how to recognize and avoid them. Though drunk driving garners more public attention and headlines, distracted driving is right up there as one of the top causes of St. Louis car accidents. When you think about it, this makes sense. Cars are traveling at high speeds, and when somebody takes their eyes off of the road for just a couple of seconds, a crash can occur. If you are ever caught in an accident with somebody you suspect was distracted, your best course of action is consulting a St. Louis auto accident lawyer. If the other driver is distracted, they could be found liable, and you might have a solid case against them. Still, the best case scenario is avoiding an accident altogether. Distracted driving should not be taken lightly. The NHTSA has three statistics that hammer that point home. 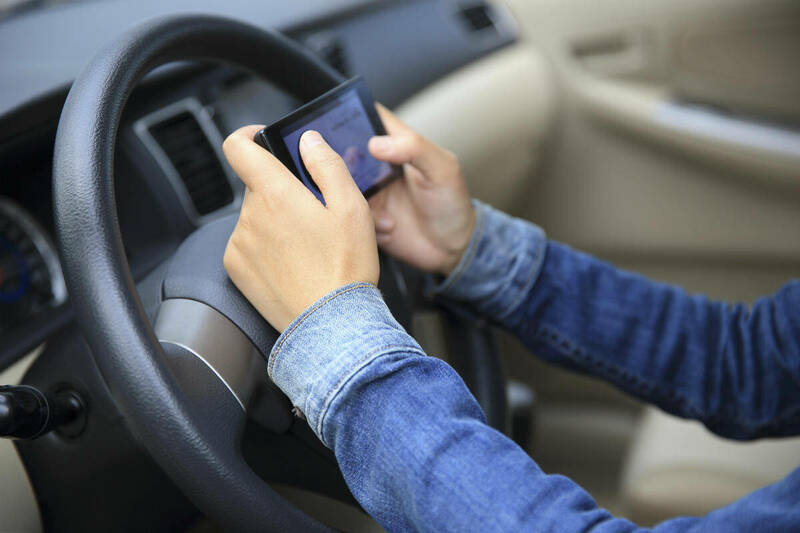 They estimate that 481,000 vehicles are being driven by distracted drivers at any time of day, roughly 390,000 people per year are injured due to distraction, and about 3,500 people are killed every year in these types of accidents. You won’t always be able to tell when a driver is distracted, but there are a few common clues that you can look out for. Drifting – A distracted driver will often have trouble staying in their lane. This is because their attention is elsewhere and when they are looking away, they do not adjust their course for the natural curves in the road. Sudden Braking – If a driver is not paying enough attention, they may not notice a red light, stop sign, or car stopping in front of them. Though this can lead to a crash, they often will see that they need to stop before it’s too late. The result is their braking suddenly. Long Pauses at Intersections – We’ve all run into this situation. You’re behind another driver at a red light, the light goes green, but they don’t move. This can happen at a stop sign too, where a car stops for an excessive amount of time. Being distracted is a common reason for this. Slow Driving – Though some especially aggressive people drive quickly even when they are distracted, the general trend is that multitasking drivers slow down. If you spot a driver going well below the speed limit, they could be distracted. When you spot a distracted driver, don’t panic or get angry. Neither of these emotions will help you stay safe, so be sure to keep calm. The best way to avoid these types of drivers is increasing the distance between you and them. If you spot one, calmly change lanes away from them and create some distance. A car being driven by a distracted driver is a danger to everyone else around them. The best way to keep yourself safe from them is understanding how to recognize and avoid them. If you do, you will increase your chances of staying safe. Of course, despite your best efforts, you still might end up in an accident. If you do, be sure to talk to a St. Louis car accident lawyer to discuss your legal options. Give us a call 24/7 at (314) 361-4242 for FREE legal advice.